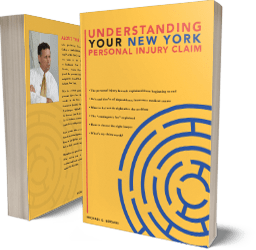 Port Byron, a village of about 1,300, is located within the Town of Mentz, Cayuga County, just north of Auburn, New York, which is only a short drive south to the law offices of the Auburn personal injury lawyers of Michaels & Smolak. Michaels & Smolak’s Auburn office has represented many Port Byron accident and medical malpractice victims over the years, including, recently, a man who fell from a ladder at work and suffered a fractured tibia and other leg fractures. Many Cayuga county lawyers refer all their personal injury and medical malpractice cases to Michaels & Smolak, the sole law firm in Cayuga County that handles almost exclusively this very specialized type of case. Those lawyers refer their personal injury and medical malpractice cases to Michaels & Smolak for a reason; they know that the firm consists only of top-tier injury lawyers whose narrow focus on this type of case makes them leading experts in the field. Directions to Michaels & Smolak from Port Byron can be found here.